Apple's quiet introduction of iBeacon is shaping up to be a foundational release that transforms the company's place in computing -- it puts Apple inside the infrastructure. 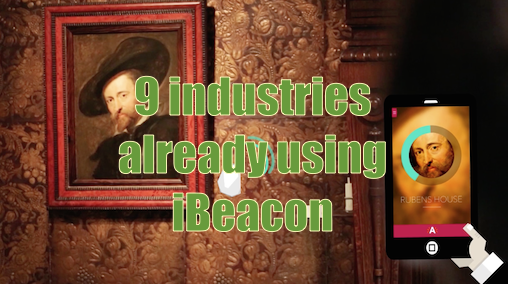 Here are 9 industries already using iBeacon. Retailers are embracing iBeacon. Recent advocates include the Lord & Taylor chain of department stores, working to deliver location-aware content and personalized offers to customer. Lord & Taylor joins a long line of iBeacon-enabled stores, including American Eagle, Tesco, Waitrose, Macy's and many more. German restaurant group Mook is testing iBeacon-based loyalty systems at restaurants. The system tracks information about customers: their favorite table, how long they spend in the restaurant, what dishes they prefer. "It will be even more interesting when we get to the next step and we know guest's names, what people drink and eat, how often and when the client comes in -- whether for private reasons or business reasons, all as a way to improve service," executive manager Feres Ladjim told the WSJ. iBeacon is already used at museums; Ruben's House museum in Antwerp uses them to offer smartphone-equipped visitors a contextual exhibition guide that automatically provides more details about the pictures they are in front of. "...may foster a new beginning in terms of iPad deployment in education." InMarket claims that iBeacon technology makes a big difference to purchasing intent. In the case of Hillshire brands, InMarket's iBeacon-based solution raised interest in one product 20-fold. Major League Baseball (MLB) has iBeacon support within its At The Ballpark app. The technology lets fans check-in when attending a game in order to receive all kinds of in-game features and special offers. And it's not just about baseball -- take a look at what the Golden State Warriors are doing with iBeacon in the video below. (And the WWE is also exploring the tech). American Airlines, EasyJet and Japan Airlines and many others are also trialing iBeacons. "Without being intrusive, we want to understand things like using mobile technology to see average dwell time in the foyer, what is people’s route through the cinema, do you go in and come back again?" The banking sector is experimenting. Australia's St. George Bank is testing the technology at three branches, offering welcome messages and information the bank thinks might be relevant to that customer. Explore more potential for iBeacon in banking here. iBeacon is on a far faster adoption curve than other technologies in this space. It is possible Apple may use this as a framework for future moves in wearables, NFC and payments tech.